The upcoming G7 Summit will be held on 7-8 June in Charlevoix, Canada. On the occasion of this event, mayors and leaders of local and regional governments, and metropolitan regions as the closest level of government to the people, representing thousands of cities globally offer our support to address the range of critical issues facing your nations and, indeed, facing nations around the world. 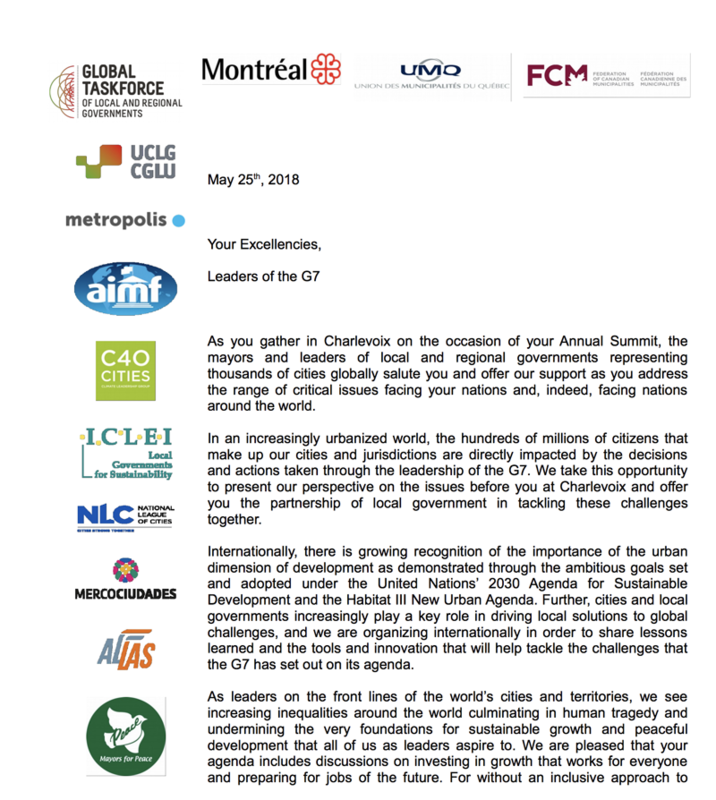 Click here to read the full letter signed by Mpho Parks Tau, President of UCLG.